Udi Nussinovitch, MD, PhD has mainly dedicated his research to cardiac autoimmunity and autoinflammation, cardiac manifestations of systemic diseases, cell- and gene-based cardiac therapies, and the modulation of the cardiac electrophysiologic substrate for therapeutic purposes. He has published articles in leading rheumatologic and cardiovascular journals. 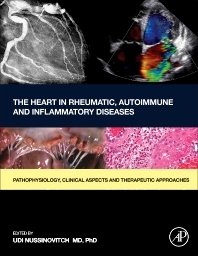 He has also published several chapters in scientific textbooks, mostly dealing with cardiac autoimmunity. Dr Nussinovitch has been the recipient of several awards and serves as a reviewer for prestigious rheumatologic and cardiac journals. Dr Nussinovitch carries out his clinical work at the Rambam Healthcare Campus, a tertiary medical facility and leading referral center in northern Israel, academically affiliated to the Technion Institute of Technology, Israel.